It looks like although we are very close to the back-to-school season, the summer season does not seem to be easing up on us any time soon. 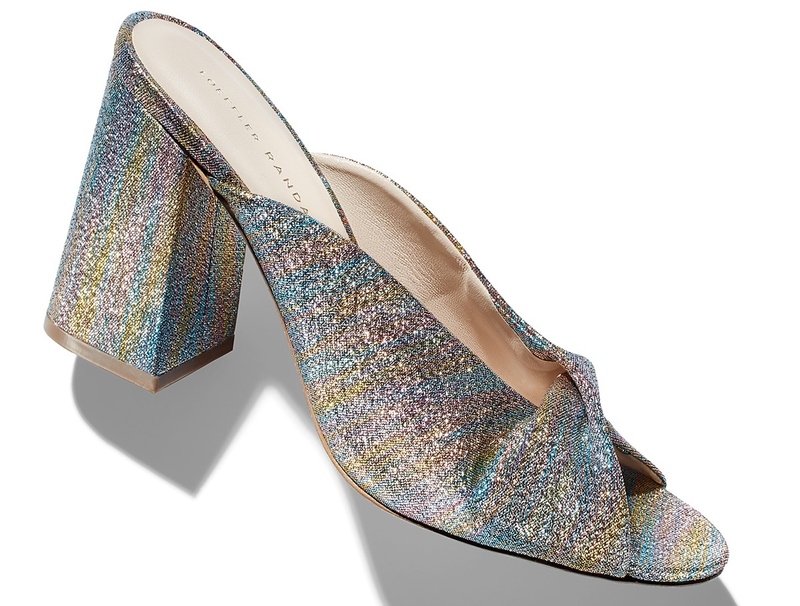 Of course we're still happy it is open toe season, especially when we get to sparkle in these Loeffler Randall Laurel Mules. 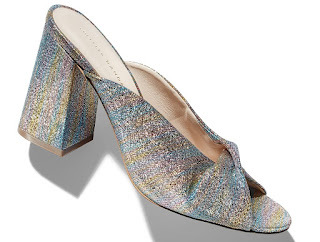 These stunning, open toe, slip-on sandals feature a chic twist detail on the vamp, a glittery rainbow fabric upper, leather lining and sole, and a 3 1/2" wrapped block heel. 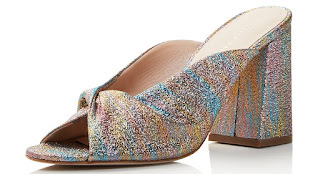 We love daytime sparkle and these definitely fill the need. Love them? Get them for $395.00 on www.bloomingdales.com.